An opt-in form is a box with an email subscription form. This is a great way to encourage people to sign up for your newsletter or blog subscriptions. To be clear, Tweak Me does not come with an email subscription plugin. You have to sign up for a third party service such as Feedburner or MailChimp. All Tweak Me does is display these forms. The theme doesn't come packaged with its own subscription service. These "hooks" can be found in Appearance > Theme Settings. Then click the "Snippets" tab, followed by the "Hooks" link. Any code placed in the Header Hook area will appear at the top of every single page. You can configure the placement of this hook in the Header tab. 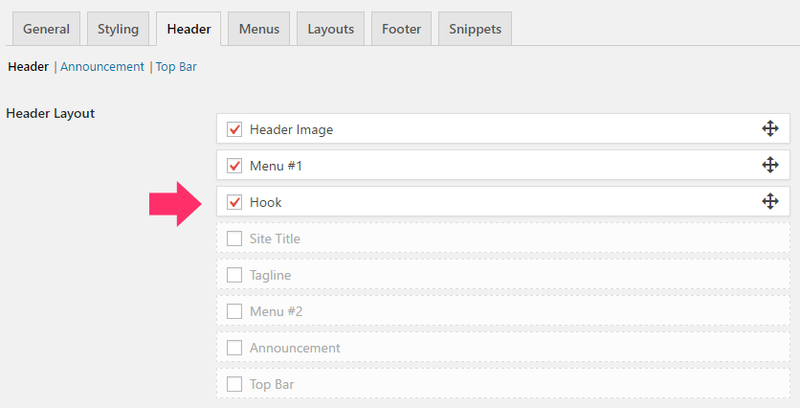 Find the Header Layout section and drag and drop the "Hook" box where you want it to be displayed. The Below Posts Hook gets added at the bottom of every single post (on the single post page only). The code appears below the post, but above the comment area. After you've chosen your location, it's time to add in the code! Then later when we grab the form code (from Feedburner or MailChimp) we’re going to place it INSIDE those two tags (where I've written the comment). But do you see where it says YOUR FEEDBURNER USERNAME HERE? Just enter your Feedburner ID/username there. Login to MailChimp and click on the “Lists” tab. Find your list on the page and click the arrow on the far right next to “Stats”. Select “Signup forms”. 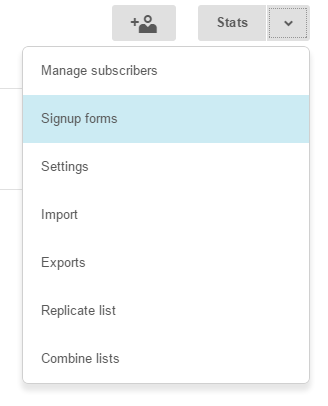 On the next page, click the link for “Embedded forms”. Copy the code from the “Copy/paste onto your site” box. But first, we’ll want to make a few adjustments.